Connect your DVI equiped HDTV or monitor to the DisplayPort connector on your computer without the hassle of using a separate adapter. This reliable, high performance cable has flexible 28AWG, tin plate conduits with pure copper cores and gold plated connectors for long life. Tech Note: Many DisplayPort connectors are capable of passing a DVI signal. However, DisplayPort and DVI signals are different and typically not compatible with each other. 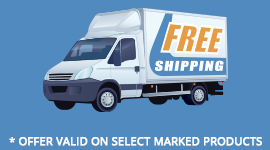 In order for this cable to function properly, you must have a DisplayPort source device capable of producing and passing out a DVI signal through the DisplayPort jack. Please consult your DisplayPort (or computer's) documentation to determine if your DisplayPort supports passing of a DVI signal. 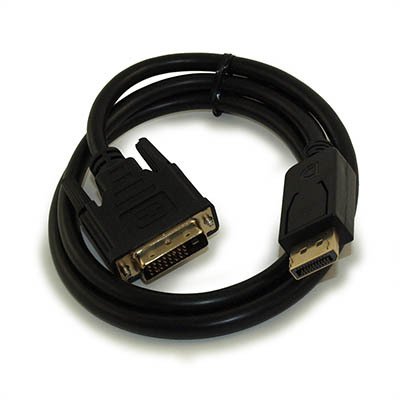 The DVI connector provided in this cable harness is PINNED as a DVI-I, but only supports DVI-D (DIGITAL) signal types. 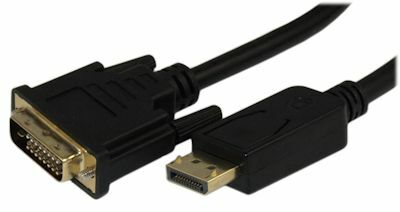 This cable will ONLY work when connecting the DISPLAY PORT end to the video SOURCE, and the DVI end to the DISPLAY. It will NOT work in reverse.